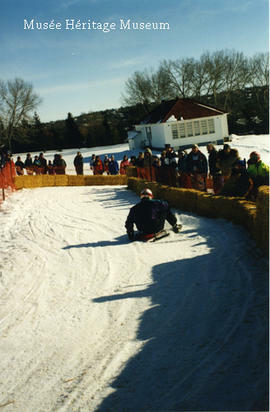 This file consists of photographs from the luge competition at the 1994 Alberta Winter Games in St. Albert. Photographs depict the luge competitors, the luge venue on Mission Hill in St. Albert, and medal presentations. Photographs were taken by Fred Anderson.